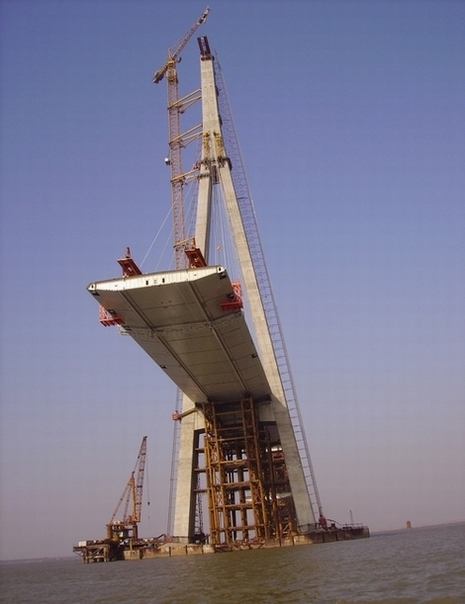 We have been designing, supplying and operating bridge deck erection gantries (also known as a launching gantry or launching grider) since 1995. 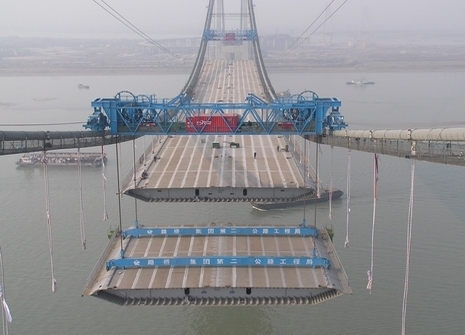 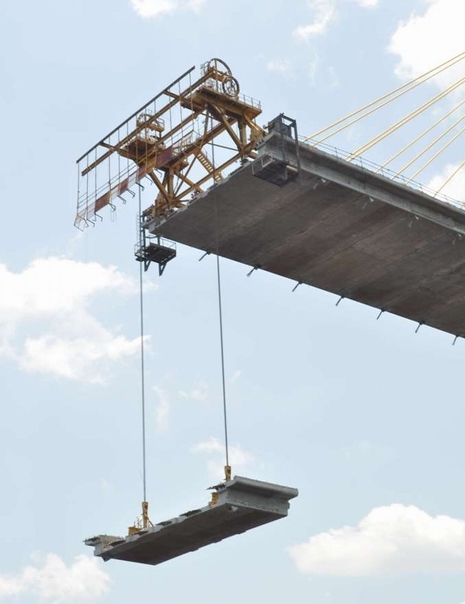 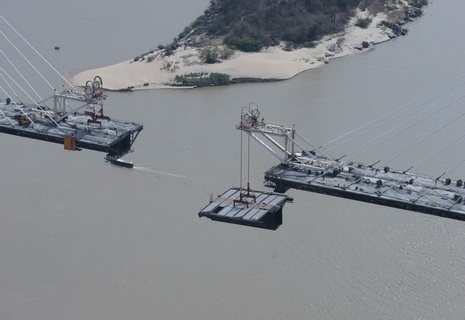 Our bridge deck erection gantries have been used to erect the decks of suspension bridges, cable stay bridges and land/sea viaducts in both steel and concrete. 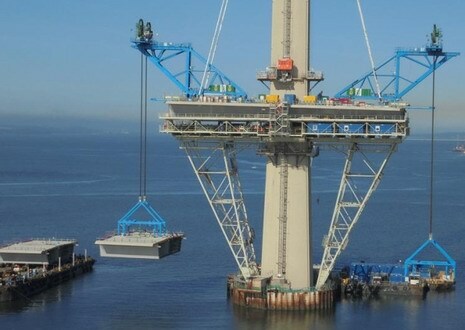 We offer a complete design and supply service, with site supervision to assist and train our client's site team to assemble, commission, operate and maintain the gantries. 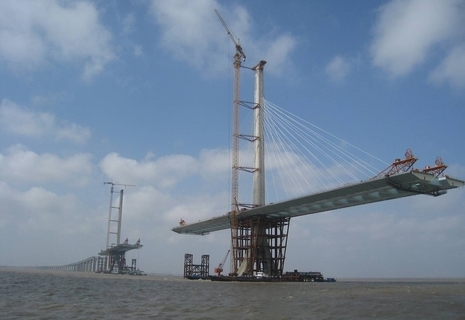 We are also happy to pass the steel fabrication drawings to our clients so they may fabricate the steelwork themselves local to the project site to save costs. 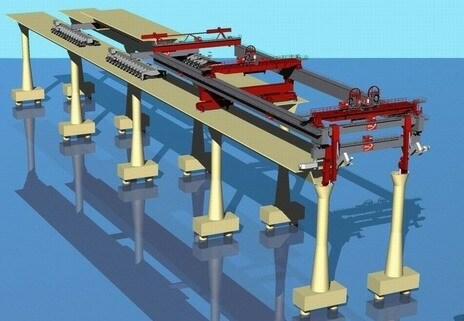 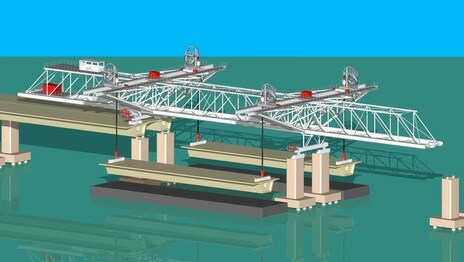 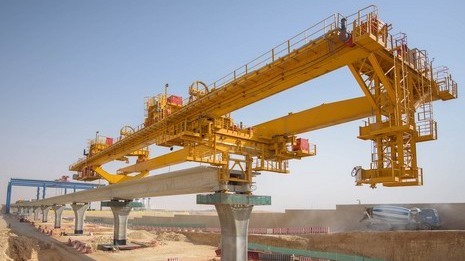 Each gantry is designed specifically to meet the loads and geometry of each project, and to arrive at the most cost effective overall solution when considering the cost of the gantry, the erection schedule, the labour required to operate, the erection loads on the permanent works and future re-use value.